After the excitement of Sunday's National Cross Country in Abbotstown, thoughts turn to the European Cross Country Championships which take place in Tilburg on Sunday, December 9. Leading the Irish squad in the Dutch city are newly-crowned national champions Ciara Mageean and Kevin Dooney and, fortunately, both have a wealth of experience to draw on. Mageean made her European Cross Country debut back in 2009 when Ireland hosted the championships at Santry. She finished ninth in the junior women's race, helping the teams to fourth place. A year later, she finished seventh in the same race at Albufeira in Portugal and then took a long break from international cross-country running. 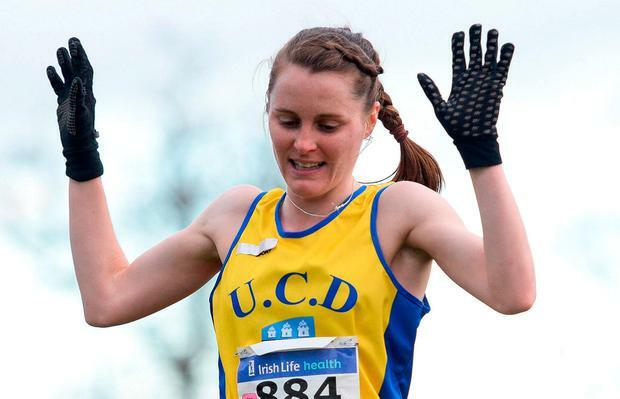 It wasn't until 2016 that she made a return for the National Championships in Abbotstown, where she finished third behind Shona Heaslip and Kerry O'Flaherty. That effort won her a place on the Irish senior team heading for Italy, where she finished second Irishwoman in 31st place. Competing in the junior men's race at Albufeira in 2010 was 17-year-old Kevin Dooney, who finished 67th. A year later, in 2011, Dooney was joined by Sean Tobin on the junior men's team. Tobin made his mark by finishing second of the Irish in 46th place; Dooney finished 82nd. Winning the first of her two senior women's titles that day was Fionnuala McCormack. Belgrade was the venue for the 2013 championships and by now, Kevin Dooney had progressed to the U23 race. Leading the Irish team to fourth place that year was Paul Robinson who finished sixth, with Dooney 38th. In the junior men's race, Sean Tobin had a brilliant run to finish sixth. For the 2014 championships, Dooney was back on the U23 team and finished 18th - his best result to date. By 2016, he had progressed to the senior team, finishing 69th. Last year, he improved that to 51st. Best of the Irish senior men was his old rival Sean Tobin in a brilliant 15th place. Dooney's target this year is a place in the top 20. Mageean hopes the women's team will contest for medals as they've done in the past, winning gold in 2012 and bronze in 2014. They're not the only experienced heads on the squad. Reunited on the women's senior team are the three Rio Olympics "steeplechicks" - Sarah Treacy and Kerry O'Flaherty both making a seventh appearance at the championships, and Michele Finn who competes for a fifth time. Then there's Mick Clohisey, the current Irish marathon champion, who is a veteran of the Irish team from Santry in 2009. His best performance from four appearances on the senior team is a 37th place from 2015. Yet another veteran is John Travers who, with Paul Robinson, Siofra Cleirigh Buttner and Claire Tarplee, will compete in the mixed cross-country relay. Travers made his first appearance on the team in 2010 as a junior and ran in the senior race last year. Robinson and Cleirigh Buttner have also run on junior teams.